As part of our commitment to providing superior customer service, we don’t just deliver your office furniture, but will install all of your products and clean up when we’re done. We’ll even work with your data and electrical providers when needed to ensure you have a functional space when we’re done. Just let us know your needs and we’ll provide you with a competitive price quote. We are so much more than an online office furniture supply store—we work with you to ensure you get the best furniture to meet your needs and fit your budget. Our dedicated furniture representatives will measure your space, consider the products available and recommend an efficient design that helps you best utilize the space you have. When you are looking for an online office furniture and supply store that will serve as your partner in maximizing efficiency and value, contact Sandia Office Supply in Albuquerque. Sandia Office Supply is the only HON Showcase Dealer in New Mexico. We also work with over 100 different furniture manufacturers that provide options for every budget. Our full-service delivery team will stay in communication with you about delivery and installment dates and times and accommodate your schedule to fulfill your order in a timely fashion. 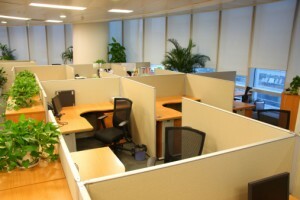 At Sandia Office Supply, we make getting the office furniture you need easy and affordable. Call 505-341-4900 to open an account with Sandia Office Supply of Albuquerque, NM today!